THIS PAGE IS TO PAY AN INSTALLMENT ONLY. TO REGISTER AND PURCHASE THE INITIAL PAYMENT CLICK HERE. Guests will stay at a 4-star hotel with many restaurants, a spa, shops and a pool. 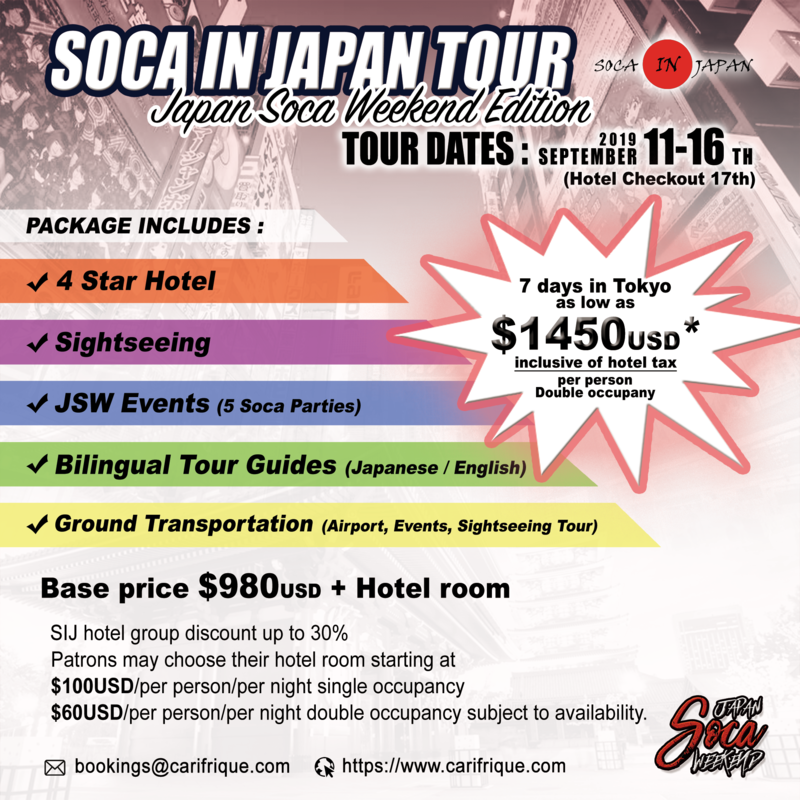 Upon registration ( i.e your initial payment $280 USD has been paid) guests will be given the SIJ hotel group discount code for a savings of up to 30%. Guests may choose their hotel room starting at $100 USD per person per night (single occupancy), $60 USD per person per night (double occupancy) (subject to availability). It is STRONGLY ADVISED that guests reserve their rooms immediately after registering with Carifrique as room rates are subject to availability. No upfront payment is required to reserve your room, only a credit card confirmation. Guests can choose to pay for their hotel room, in person, upon arrival to the hotel. However, registering with Carifrique is required to reserve the hotel. Please arrive on Wednesday, September 11, 2019 at NRT (Narita Airport) before 3:30 pm. SIJ staff will be awaiting your arrival at the airport from 8am to 4pm. SIJ staff will assist you to the hotel via the shuttle bus (included in tour price). Please note Tokyo is a very large city. The bus will take 2 hours to reach the hotel in central Tokyo. The first event begins at 6:30pm. 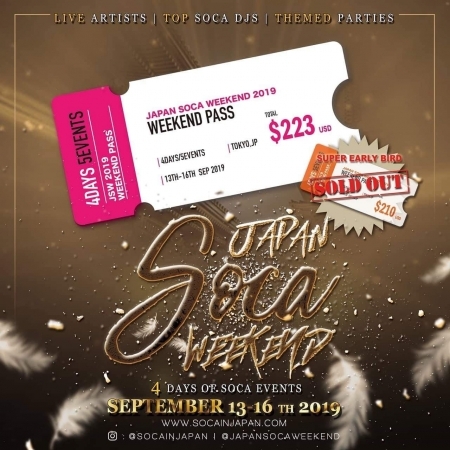 Guests who cannot arrive before 3:30 pm must contact Carifrique or SIJ. 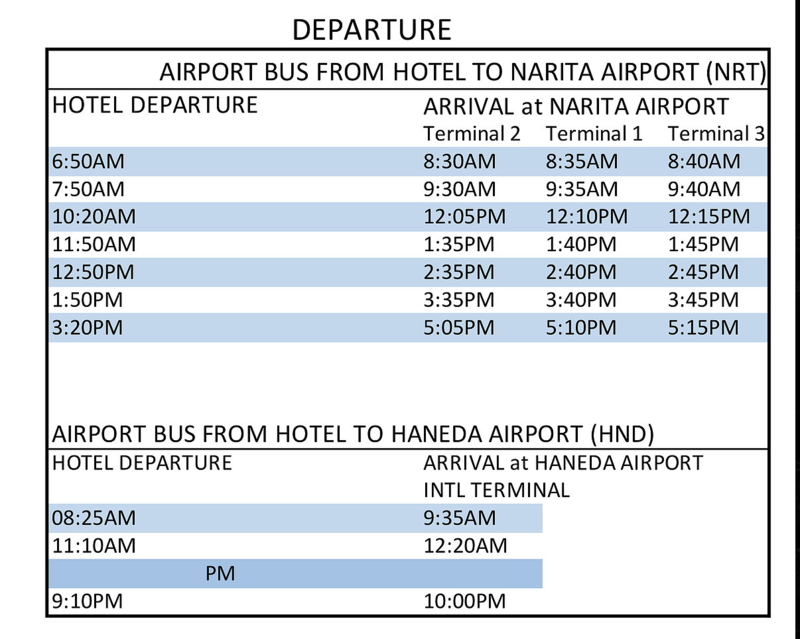 See the bus schedule below when choosing your departure flight. Guests must provide Carifrique with their flight itinerary so SIJ can make necessary reservations for the Airport Limousine bus. RESERVATIONS ARE REQUIRED. Carifrique and SIJ will reserve the bus for guests upon receiving their flight itinerary. The guest flight itinerary form must be filled out before July 31st, 2019. 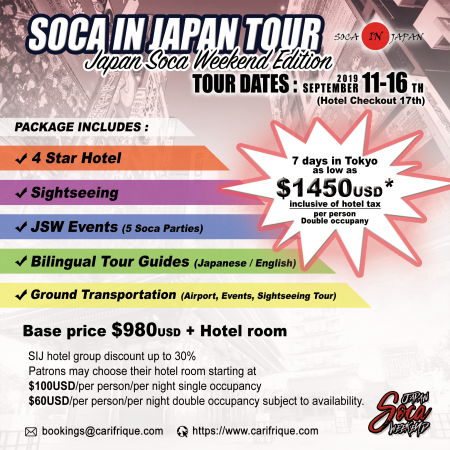 Carifrique and SIJ will not be held responsible for guests failing to be on time for the departure bus or for guests failing to provide their flight itinerary.